It’s September and the activity that you’ve put off all summer is looming. It’s time to develop and turn in your 2016 marketing budget. 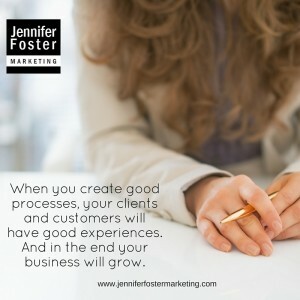 You know you need marketing to grow your business. No poi nt arguing that, but, so many “marketing” schemes are out there that it’s totally understandable that my clients are reluctant to give me a number. But can you imagine contacting a real estate agent and not letting them know whether you were shopping for a $175k fixer-upper or a $345k fully renovated mid-century modern? You wouldn’t. Small budgets can be just as effective for a growing businesses as a large budget is for a more profitable one. So just like you need to give your real estate professionals some guidance, you should have an idea of what type of marketing budget. Here are a few tips for putting one together for 2016. 1. How much should I budget? Rule of thumb is no less than 5% of your revenue and if you’re a stable business in a stable market this will work just fine. However, if you’re looking to grow, or if your industry is growing (i.e. competitors are entering at a fast pace), you’ll need to up that to 10-12%. If you’re in a highly competitive market, especially in a direct-to-consumer space, you’ll need to allocate as much as 15-20%. 2. What is the best marketing investment? The very first place you should spend your money is on your web site. If all you are spending is the 5% noted above, start here. You need a good web site and, again, if you’re in a consumer-facing space, you need a great web site. It needs to have great content (think quality over quantity) and it needs to be engaging and specific. Good content will aid your Search Engine Optimization (SEO) efforts and save you time and money on it down the road. 3. Where should social media fall in my budget? Social media is your public relations. The good news is that it doesn’t have to be costly. If you’re starting your business and you are comfortable with social media tools, you can do a lot of the engagement on your own. Outsourcing it will cost you a couple of hundred dollars per week, and honestly if you don’t have an interest in doing a really good job on your own social media — well, you should outsource it. 4. What about event marketing? I’m a huge fan of business-to-business marketing that includes attendance at industry conferences and events. Now before you book your space and pack up your booth, I generally think that attending conferences is a better ROI when dollars are tight. I suggest to nearly all of my clients that they speak on panels and to attend networking events. Join non profit and advisory boards where your expertise can be showcased and highlighted, and where you’ll meet people who can help you find more business or more speaking engagements. 5. What part does branding play? Once you have more than a handful of sales collateral (including web sites, business cards, presentation templates, etc.) you likely need to consider some sort of a branding plan. Branding is more than just how things look and feel, although that’s very important, it can also be the key messages and having a level of consistency across all pieces. It can be tempting to create a new sales sheet for every new idea that comes up, a solid branding and collateral plan can help make sure your materials get the most bang for their buck. Most companies will gravitate toward under-spending on their marketing budgets; it’s simply human nature — heck, I probably even under-spend on marketing myself to you all — but not spending can’t be confused with saving. It bears repeating: You have to spend money to make money. The trick is to develop a budget that encourages you to spend your money wisely. Keep in mind that your marketing efforts have a direct bearing on your revenue — and you have to measure them, so now is not the time to be penny wise and pound foolish. We’ll talk about measuring them in the next blog so stay tuned! 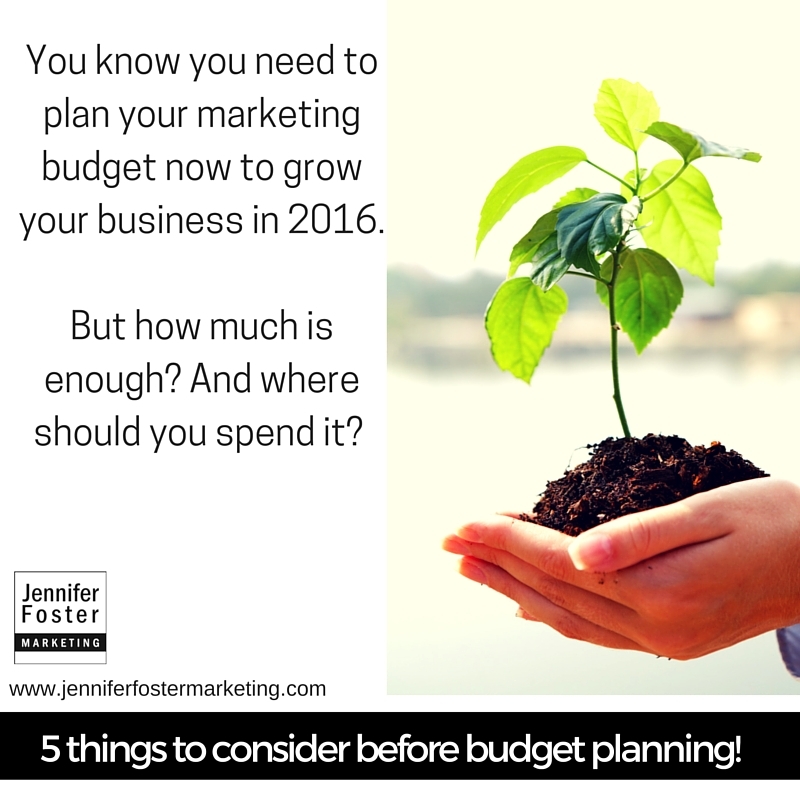 If you’re developing your 2016 budget I’d love to hear from you about any tips and tricks you have. If you’re working with an agency or consultant and need an objective third party review, I can help there, too.